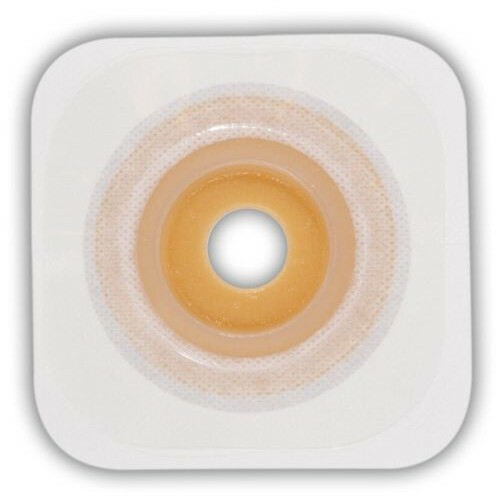 Esteem Synergy Durahesive Moldable Convex Skin Barrier features innovative Adhesive Coupling Technology that differs from other ConvaTec ostomy supplies. While other ConvaTec products contain plastic rings, this skin barrier is equipped with a patented foam adhesive that seamlessly allows the pouch to fit securely on a clear, plastic "Landing Zone" flange. Low-profile and flexible, this moldable skin barrier allows for more skin protection than traditional ConvaTec products. 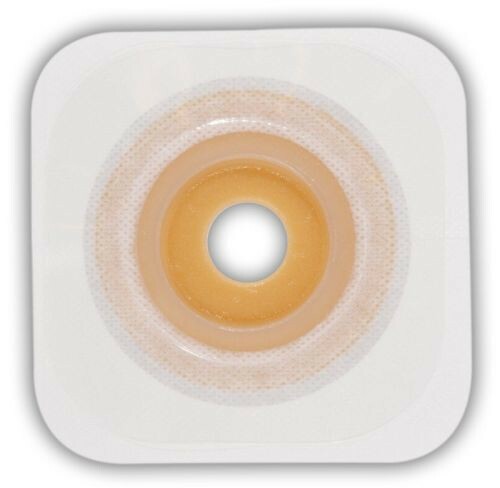 Esteem Synergy Durahesive Moldable Convex Skin Barrier offers a higher level of protection from liquid output than other ConvaTec ostomy supplies. Woven with a one-of-a-kind combination of naturally derived hydrocolloids, this skin barrier offers long lasting and skin-friendly protection that is easy to removal and gentle on the skin. You may also be interested in related ConvaTec ostomy supplies, such as SUR-FIT Natura Moldable Durahesive Skin Barrier. Woven with a unique blend of hydrocolloids to provide long lasting, skin friendly protection while allowing for a gentle, smooth removal. Built-in convexity provides an extra layer of protection for recessed, retracted or flush stomas by pushing against the stoma and causing the stoma to gently protrude. Instead of plastic rings, a patented foam adhesive allows the pouch to be securely attached to the skin barrier on a clear, plastic "Landing Zone" flange.